The gas-tec 600 is a totally portable, robust and compact hot melt glue gun that runs solely on butane gas. It does not require mains electricity or batteries but operates using easily refillable LEC (Liquid Energy Cells) power technology. The gas-tec 600 has been built to a very high standard and incorporates a soft-feel handle and full-hand trigger, making it a very comfortable gun to work with. 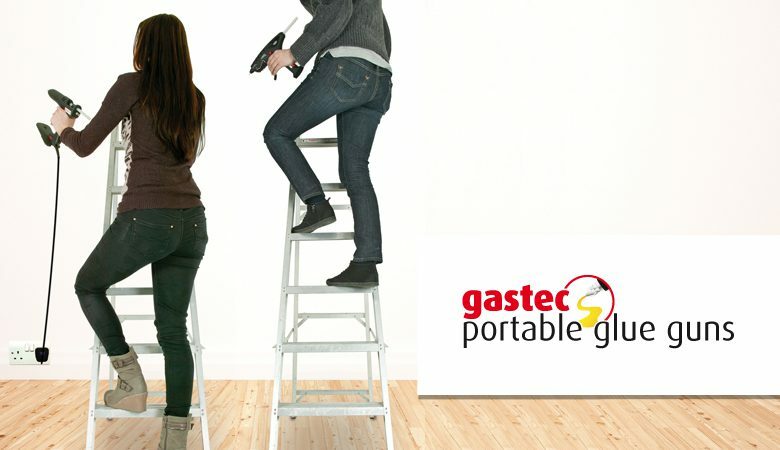 The gas-tec 600 comes complete with two empty LEC cartidges. Refill the LEC gas cartridge using standard cigarette lighter canisters. Each LEC gas cartridge refills in just 15 seconds – sufficient to keep the gas-tec 600 running for approximately one and a half hours. Easy to start up – simply turn the gas dial and press the piezo ignition button. Reaches operating temperature in just five minutes. Thermostatically controlled to give the optimum temperature to achieve the best glue delivery. The gas-tec 600 can be used for a huge range of applications from shop fitting, exhibition displays, flooring and carpet laying, ceramic tile displays, low voltage wiring, to dent repairs on cars and many more.